How cheap is an old school PS3 selling for these days? Well, GameStop has this pre-owned 40GB model down to $50. The average price for this deal since released is $129.99. Lowest historic price was $49.99 on Jan 10, 2018 at GameStop. eCost has a refurb 40GB PS3 Console for $169.99, that's among the cheapest we've seen a PS3 go for. Remember when the 20GB PS3 was $499.99? The average price for this deal since released is $129.15. Lowest historic price was $64.99 on Oct 27, 2017 at NewEgg. With the PS4 in high demand, how much does a PS3 run these days? Today the PS3 super slim 12GB console dropped to $70 after coupon at CowBoom. Lowest price we've seen on this unit by $30. Supplies is currently going in/out of stock. Right now you can grab a pre-owned PS3 12GB console for only $100 plus $5 shipping at CowBoom, today only. These days refurbished PS3 consoles go for about $170 and new ones around $200. Couldn't care less about the next-gen consoles? Today the PS3 Super Slim can be yours for just $95 via eBay deals. The average price for this deal since released is $138.66. Lowest historic price was $94.99 on Jul 17, 2017 at eBay. Pre-owned 250GB PS3 Super Slim drops to $170 plus $5 shipping at CowBoom (Best Buy subsidiary), today only. That's $125 off buying one in new condition and $65 off buying in refurbished version. You'll need to check out with PayPal for the coupon to work. A PS3 for hundred bucks? You can grab this dirt cheap refurb 320GB slim console at Daily Steals. Shipping is free and comes with a 90 day warranty. PS3's in new condition only $149 at Walmart. Same price as GameStop is charging for refurbished units. Normally a $220 purchase. The average price for this deal since released is $181.49. Lowest historic price was $99.99 on Mar 20, 2015 at CowBoom. Walmart is clearing out some PS3 SUper Slim 500GB console at only $150 with free ship or store pick up. This is a pretty good price for a brand NEW unit. So you're not ready for next-gen consoles? Today the PS3 500GB Super Slim dropped for only $100 at CowBoom - the cheapest it's ever been by over $10. Also available in Refurbished Condition. PS3 500GB Super Slim in Red, White, and Black a mere $90 at GameStop today. It's an online only deal but shipping is free (no free store pickup option). Brand new PS3 500GB Super Slim's are still in the $150 range. The PlayStation 3 continues to be a popular gaming console. Sony launched the new PS3 Slim consoles on September 1st, 2009 (just a year ago), and the PlayStation 3 has been the top selling video game console since. PS3 Slim consoles currently come in two sizes. The main advantage the PlayStation 3 has over other gaming consoles is the Blu-ray player built right into the console, which can also save you money on your home theater setup because you don't have to buy a separate Blu-ray player. 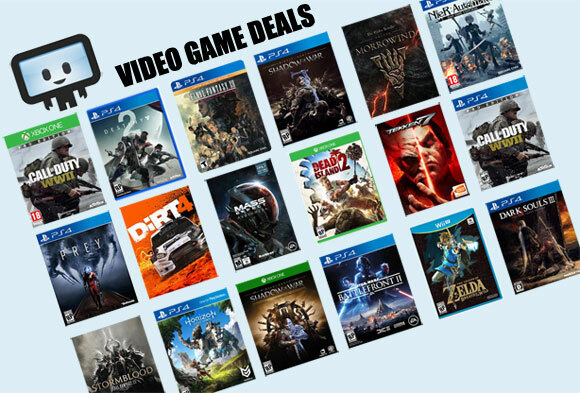 Great PS3 deals are rare and quick because the PS3 sells so well at its full prices. Whenever I find a special that can get you an extra controller for free or maybe a $25 coupon...and I will post them here immediately!